I started using Sketch early last year and was almost immediately floored by how much it got right compared to other tools (ahem Photoshop and Illustrator) I’d been using for years. In just over a year, it’s quickly become the first digital tool I reach for when trying to get an idea out of my head, whether that’s an interface, graphic, icon, or even flowchart. Even since, I’ve talked it up to a number of friends and peers. Every time I find myself wishing I had a list of the many little details I love about Sketch, so I’m compiling it now. Want to select an element in Sketch? Just click on it. No more hunting for it in the Layers palette or right-clicking and choosing it from a dropdown of every layer that appears beneath the mouse cursor. This gets me almost every time I go back to Photoshop now. Even better, if I want to manipulate the individual points of a vector element, I can select the element then just press Return. That opens the shape in Edit mode, which lets me edit each point directly (or tab through them individually). How many times have you wanted to change the size or location of an element by a specific number of pixels? Now you can do the math directly in a field for that element. Just select it and its details will appear in the Inspector panel (on the right by default). Want to make it half as tall? Shrink it by putting ‘/2’ in the Height field. Want to nudge it 3 pixels to the right? Add ‘+3’ in the X position field. This has singlehandedly cut down on my use of the OS X Calculator app by probably 90%. As a semi-left-brained designer, I strive to keep my creative projects organized and easy for others to explore and understand. Sketch really gets me. First, you can create individual artboards within a page to organize by screens (if you’re designing an interface), variations (if you’re designing concepts), or related graphics (if you’re creating vector images or icons). Each artboard has its own name and dimensions, and any elements placed inside it are automatically grouped with it. I have used artboards to lay out pages for sites or screens for apps, as well as individual icons for sets. Artboards are awesome for laying out a screen, then exploring either variants or interactions within the screen as separate duplicated artboards. So, for instance, I could have a Home screen artboard. Beside it, I could have an Empty state Home artboard, another version of the Home screen with different types of content, and another with any changes that occur because of an interaction. I’ve long been a fan of the shortcut in Photoshop to hold Alt/Option and click (with certain tools selected) to quickly sample a color before drawing. In Sketch, the equivalent would be Ctrl-C, which allows you to select a new fill color for a selected element. One huge improvement of this method over the Photoshop Eyedrop tool is a small loupe so you can pick colors down to individual pixels (and see the exact value you’re copying). And just like Photoshop, this tool works inside or outside of the app so you can Ctrl-C then click on colors in another app (like maybe a style guide in a web browser). On top of that, it’s easy to define color palettes specifically for a document or globally. (These are similar to swatches in Photoshop, but I’d argue easier to understand and update.) In the color picker on the Inspector panel, there are two sets of colors at the bottom: Global Colors and Document Colors. Global Colors persist whenever you use Sketch so make sure you save those for colors you use frequently across projects. Document Colors are useful for saving a set of colors only with a specific document. You can add a color by selecting an element with that color then hitting the Plus icon under the section you want to add it to. That’s it. To remove the color, right click on the swatch and select Remove. To apply that color to an element, select the element, hit the color swatch on the Inspector, and choose the color from the Document (or Global) colors. You can also set up Global and Document Gradients (of various types) and Patterns as well! Symbols are similar to Smart Objects in Photoshop or Symbols in Illustrator and allow you to create a single object that is then reusable. When you make changes to a symbol, those changes are reflected across all of the child copies. With the latest version (3.7 when this was published), the makers of Sketch have begun making changes to the Symbol architecture to make them more easily extensible. One of the nicest changes is overrides: you can now change text and bitmap images within a symbol for each instance without affecting the content of your symbols overall. In practice, this means you have a collection of repeating elements with varied content that’s easy to reconfigure on the fly. They’ve also introduced an automatic Symbols Page that collects the symbols you create into a single spot. Once you’ve started using symbols, you’ll want more and more of them. The symbol page that’s automatically generated is a great tool to organize them. But another quick way to organize them by related groups is to name them with a Parent / Variant pattern. This will automatically create a nested folder structure in the Insert Symbol menu. And that’s not all. Here’s a great resource to really dive into the other keyboard shortcut options. Similar to Symbols, Shared Styles let you maintain a set of visual styles for both layer elements and text elements that you can update to keep visual styles synced between multiple objects. Shared Styles are very similar to a CSS class - you can set multiple visual properties then apply those to other elements by using Shared Styles. 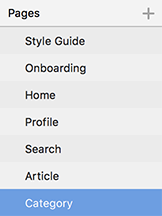 With the latest version of Sketch (3.7), you can tweak styles of an individual element that’s got a Shared Style and choose whether or not you want to propagate those changes back to other elements sharing it. One of the first things that enticed me to try Sketch was its powerful, yet easy to use export options. You can export any individual element, group of elements, or even whole artboards by selecting them, and then add export options from the bottom of the Inspector panel. Even better, you can export multiple types of images all from the same element. Made some changes to a logo? 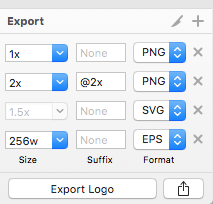 Export PNGs at 1x and 2x resolution, SVG, and EPS so you can update it easily across print, web, and mobile apps. Most of all, though, I just love how easy it is to create and edit everything in Sketch. Photoshop layers are great for knowing where things are in order, but they can be painful when editing and combining shapes. Illustrator layers and combined vectors have always felt like a confused tangle, where selecting a layer doesn’t actually represent selecting an actual object on the screen. 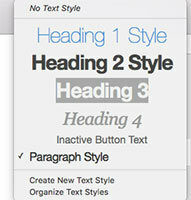 Sketch feels just right with every element as a layer and groups/artboards/pages to organize them further. On top of how well it works on its own, Sketch has a pretty powerful architecture for plugins that allow you to really stretch what it can do to another level. Rather than attempt to dive into some of the great plugins here, I’ll save those for another post. Needless to say, if you do find anything lacking in Sketch, there’s a good chance someone has covered that weakness by building a plugin for it. What are your tricks in Sketch? Haven’t bitten the bullet yet?